- Support for jQuery dollar sign "$" along with "jQuery" sign. 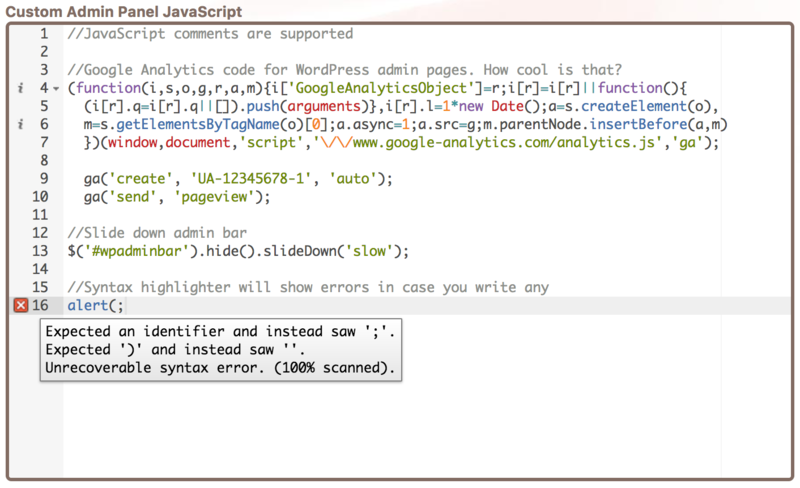 - You can even add support for Google Analytics on your admin pages! This covers pretty much everything, and you can use Cusmin even to customize your WordPress public theme!